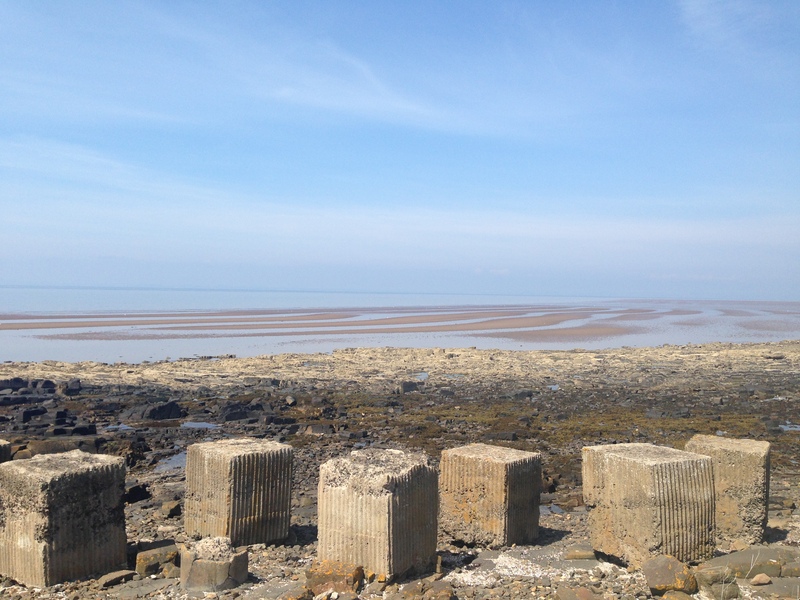 Just north of Edinburgh, the shoreline is lousy with bitty towns filled with pubs and cafes. Dorset Boy isn’t the touristy sort though, and soon enough we’re pulling into working class Port Seton, a fairly dead stretch of squat buildings punctuated with a small port at the heart of it. 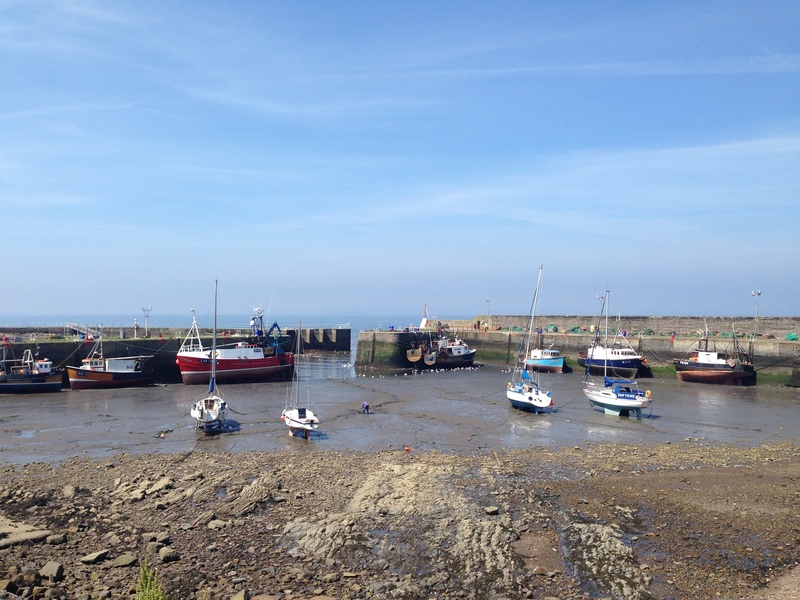 The tide is low, so low the fishing boats are grounded. We stop to taste the silty air, to watch an old salt meander across the mud to check on a boat anchor. The smells remind us of our hunger; Dorset Boy takes my arm, steering me to a small shack nearby. 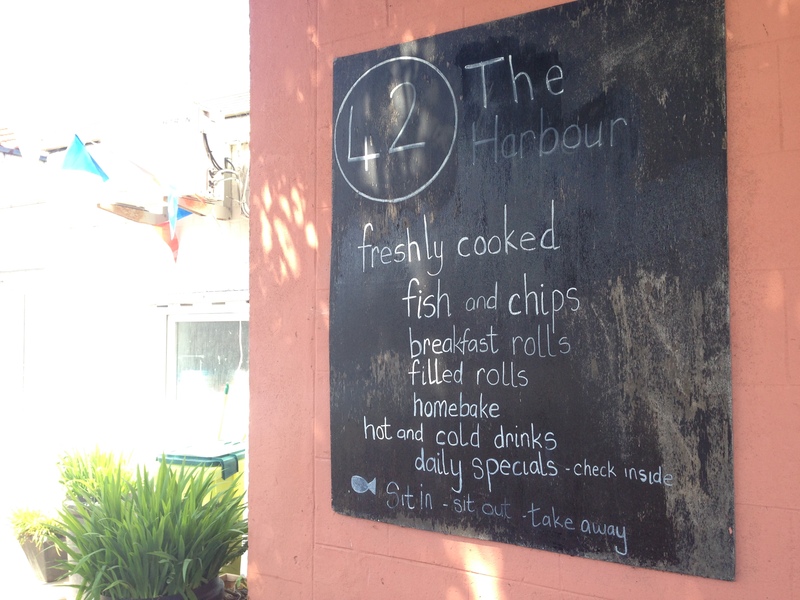 This is an unfussy place, The Harbour — as you can see from this menu. 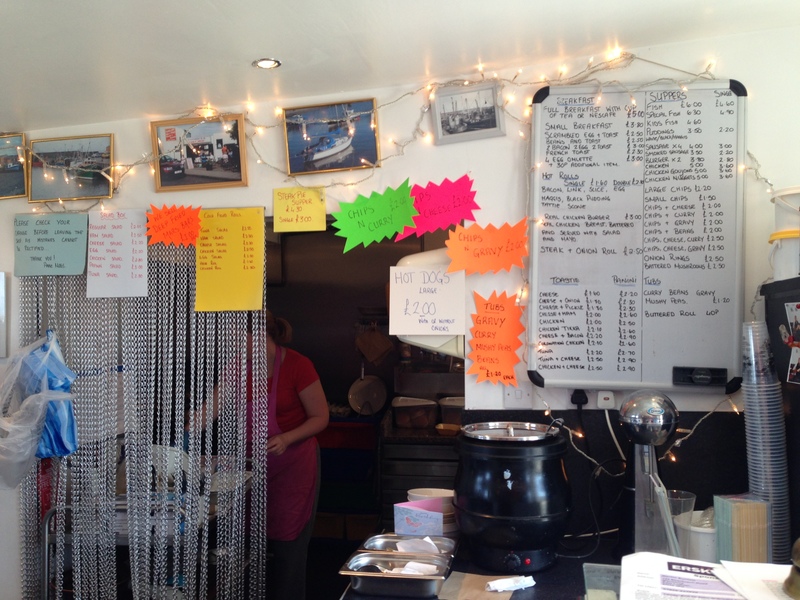 Inside, the intimate counter and kitchen make me feel as if I’m in someone’s cosy flat. We order our fish and chips and wander out for a quick poke around. 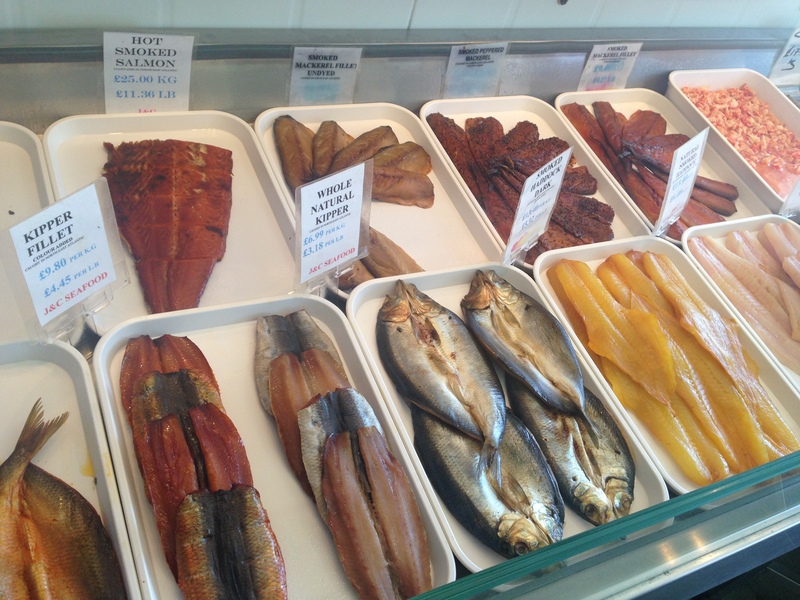 The only thing open is a fishmonger across the street — this here is only half of his selection of cured fish. Very impressive. Not long after we find a bench, our food appears. Dorset Boy generously sprinkles everything with malt vinegar, so I do the same. I watch as he unceremoniously tears into the fish, chasing each mouthful with vinegar-drenched chips. And I do the same. I’d be lying if I said this food was transcendent in any way. The fish, though nicely fresh, came encased in a super crisp shell that was off-the-charts greasy. I love crispy foods, don’t get me wrong — but after a few bites, oiliness starts to be what you really notice here. The chips were a nice foil though. Dorset Boy looks like he feels a little bad. He needn’t, really. I’ve tucked into very tasty fish and chips in some of the best restaurants of New York City, one of the oldest fish and chip shops in London, food trucks, and eateries small and large half the world over. 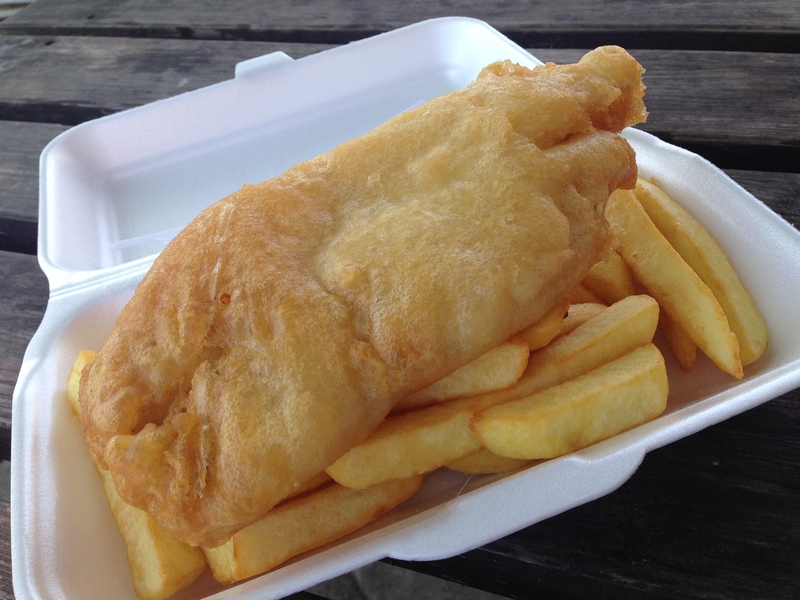 My little styrofoam box of the stuff in tiny Port Seton, however, will likely be one of the most memorable I’ve had. I have seen a bit of the Scottish waterfront, after all. And we’ve only just begun. So back into the car it is with Dorset Boy. There’s far more water ahead. 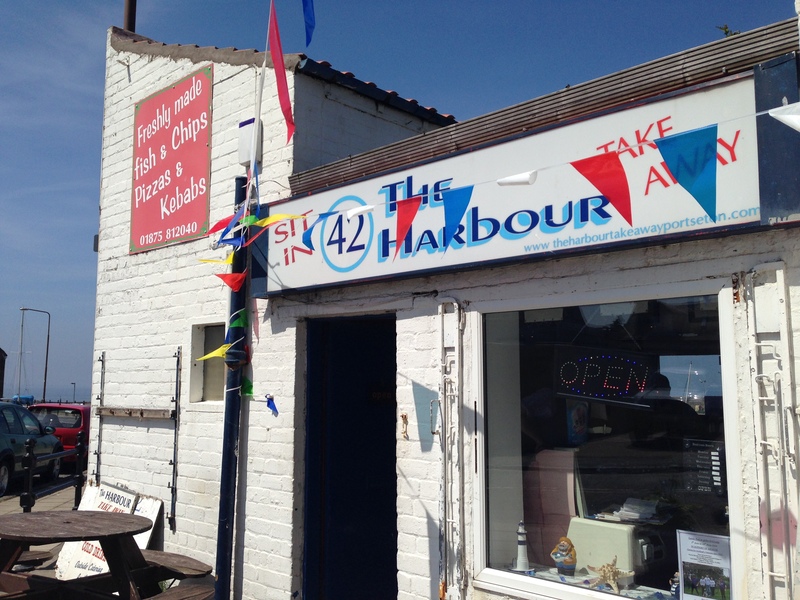 The Harbour Takeaway, 42 Harbour, Port Seton, Prestonpans; +44.01875.812040.